The United Food and Commercial Workers International Union represents approximately 1.3 million members in the U.S. and Canadian food industries. The UFCW serves as the primary advocacy group for grocery, retail, meatpacking and food processing workers. Members of the UFCW face a wide variety of potential workplace hazards, including food-borne illnesses, slip-and-fall injuries, machinery accidents and injuries from collapsing boxes. Most injuries that UFCW workers face are covered under the Illinois Workers Compensation Act. Workers compensation benefits are paid by employers or their insurance companies to cover all of the necessary and reasonable medical expenses associated with workplace injuries or illnesses. Benefits also include rehabilitation services, disability benefits, vocational retraining and funds for disfigurement. Family members of workers killed on the job are also entitled to death benefits. Why Hire a Workers Comp Attorney? The new Illinois workers compensation laws are filled with traps that limit an injured food industry workers ability to obtain fair compensation for their workplace injuries. These traps have been enacted for employers and their insurers to cut costs associated with compensating their injured employees. It is important to consult with an experienced Illinois workers comp attorney to avoid losing your rights to compensation. 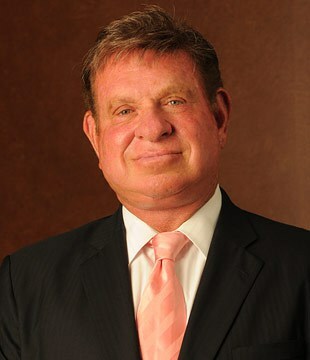 Goldberg Weisman Cairo is the biggest workers comp law firm in Illinois. Over the past nearly four decades, we have established a track record of success and recovered more than $2 billion behalf of injured union workers and their families. Our attorneys also represent more union members than any other law firm in the state. We believe that we are uniquely positioned to serve UFCW members because of our commitment and knowledge of the work that union workers do. We also have the financial resources and extensive support staff necessary to efficiently resolve workers compensation claims. Set up your free consultation with one of our workers comp experts by calling us at 1-312-464-1234.